As the sourcing of fruit and vegetables becomes increasingly global, managing the supply chain becomes ever more important in the marketplace. What started as a business providing supply chain software, Finnish based RELEX, has now expanded into offering unified retail planning solutions. Relex founders(From left to right) Michael Falck, Johanna Småros and Mikko Karkkainen. "We help retail businesses improve their competitiveness through localized assortments, profitable use of retail space, accurate forecasting and replenishment, and optimized workforce planning. For grocery all these can be applied. 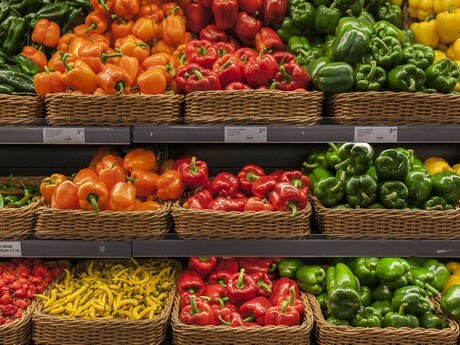 Fresh produce has generally a short life-cycle which proves challenging for retailers as spoilage should be kept down while availability high. Our customers have seen 30% reduction in inventory, 40% reduction in waste, 85% reduction in out-of-stocks, 50% less time placing orders and achieved 99+% on-shelf availability," shared Niclas Lindfors. In grocery, the volume of goods and transactions is bigger than in any other retail sector. In addition, especially, when dealing with short shelf-life products, accurate day, product and store level forecasting and replenishment is of critical importance. Grocers need to capture the impact of seasonality, trends, holidays, events, promotions, assortment changes, and even the weather on demand, replenish their stores and warehouses in accordance, and do this in a highly automated way to be cost efficient. "In many cases, we start our cooperation with a new customer by running an in-depth analysis of the improvement potential of their forecasting and replenishment process. The analysis is done using actual customer data on the product, store and day level, for several years, allowing is to identify the best forecasting and replenishment models for different products and show the exact effect the improvements will have on the customer’s inventory levels, on-shelf availability, and waste. Our clients achieve a full return on investment in months rather than years. Especially when dealing with fresh products, the pay-back time is extremely quick," shared Relex's co-found, Johanna Småros. Without accurate forecasts the risk is high for either excess ordering which leads to spoilage, or deficit ordering which leads to out-of-stock situation and lost sales. An average grocery retailer writes off goods worth 2-5% of its turnover, meaning that billions of euros are thrown away every year, just by retailers. In addition to the financial impacts, the environmental effects are massive. "Many companies in the grocery sector still see fresh food management as far too complex to be entrusted to their retail planning system and therefore continue to handle re-ordering using either very low-level automation or a completely manual process. With the right retail planning technology in place, supermarkets can take in to consideration data by product / day/ week /store /sell-by dates /weather etc and tell the system what is needed to maintain displays, sustain promotions and so forth. This mean it’s possible to keep stock and thus spoilage to the necessary minimum. These days even the most problematic items, such as bread and loose fresh vegetables that account for the bulk of avoidable food waste can be managed optimally," said Johanna. RELEX Solutions manages the massive volumes and detailed planning required in the grocery supply chain, automating forecasting and replenishment for a wide range of categories. More accurate forecasting and replenishment of fresh food makes it possible for food retailers to create more attractive product displays, offer their customers fresher products and, as a result sell more and waste less. "Overall, online grocery shopping has increased and will continue to increase in the future. We’re seeing an wave of both established companies offering food to go options, e-grocery stores selling and delivering direct to the consumer as well as start-ups offering meal-kit delivery options and food-subscriptions. The challenge with online grocery is the complicated nature of the supply chain for fresh goods as well as building a profitable business model. The industry is already dealing with low margins and low cost discounters have huge market shares in Europe – meaning the last-mile logistics and supply chain management will be key to getting online grocery shopping to work," Johanna continued. "The retail sector is undergoing a profound transformation – there is big competition within the grocery sector and fresh goods are generally the selling points that matter for companies trying to beat their competitors. Consumers are more likely to value the stores based on the assortment of fresh goods and the quality of these. This means there is a price war where everyone tries to be cost-efficient."